CADinfo.net first looked at IMSI’s FloorPlan 3D back in 2002. The product has advance considerably since then. As it was then, FloorPlan 3D remains a very powerful design and drawing application that puts a lot of capability in the hands of people who do not use design software every day and who just need a fast way of presenting their ideas about a building in a 3D digital format. 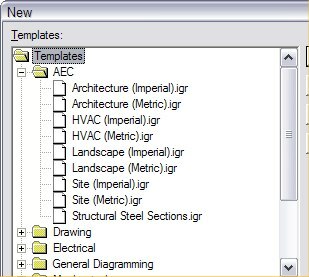 SmartSketch is an outstanding example of 2D drafting software from Intergraph. Remarkably, considering its exceptionally good features and the fact that it is produced and marketed by one of the biggest and oldest firms in the CAD business, it is not all that widely known. The essential difference between Drafix QuickCAD and Drafix Professional CAD is that the latter includes a programmable interface and a CD ROM of pre-drawn symbols. Editor’s Note: These products are now long discontinued and these articles are retained only because of their constant popularity. See the foot of the article for alternative recommendations. You want to get some quick ideas for your new extension or remodeling project, but a regular CAD program is over the top for cost and complexity. Check out the range of consumer-oriented home design software that is available practically anywhere. They all include advanced features that will make designing that next remodeling project a load of fun, and produce some valuable communication aids when you meet with your builder.